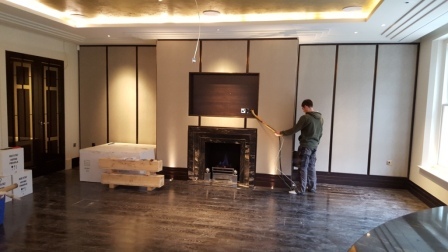 This black marble fireplace is one of the four stunning fireplaces we installed in this house in Wentworth. It is a beautifully designed fireplace with contemporary brass metal inlays. 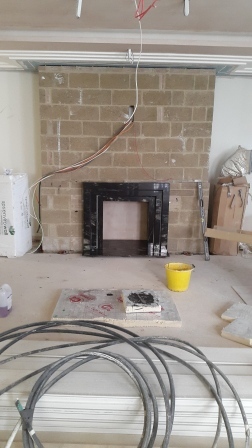 Furthermore the project included a new twin wall flue system and Exodraft fan system. 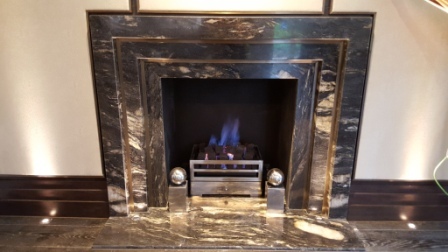 As a result, this black marble fireplace takes pride of place in the main drawing room.